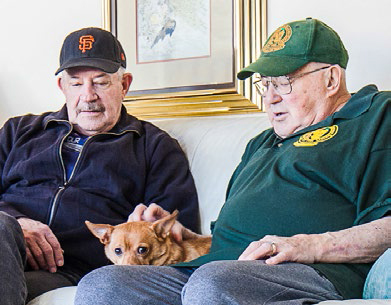 San Mateo Highlands Eichler owner Leo Schlocker, 90, with son Dave. Schlocker's exterior carries on his home's familiar choo-choo motif. 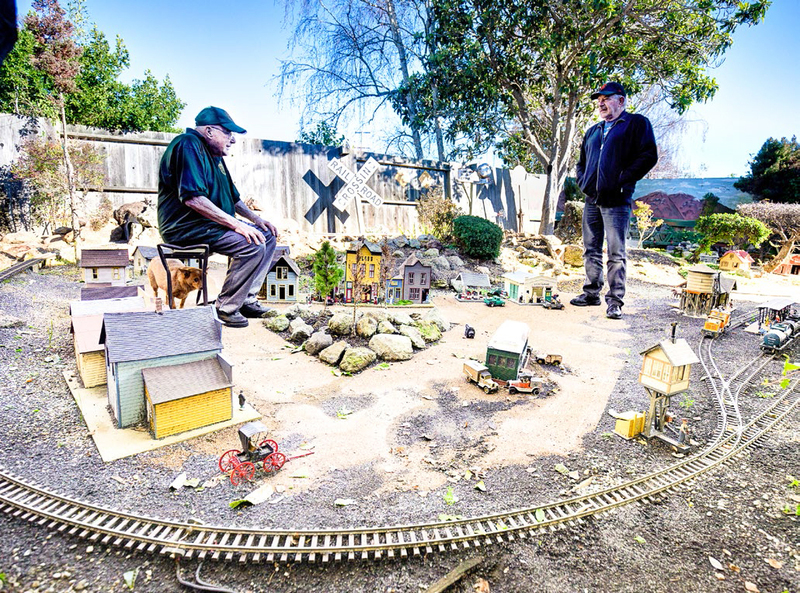 Leo (here with Dave) loves his hobby of operating a model railroad out of his Eichler backyard. With an eye on maximizing personal safety, Gibbons also had the Safety/Community Relations officer from the local police department perform a safety and security inspection of her home and, following his recommendations, installed improved door locks, outdoor security cameras, and a safe. Today, Gibbons remains very pleased with the results. "What allows me to live comfortably in my house is, first and foremost, that I love it," she pointed out. "I feel totally and completely at home with all the glass and openness and spaciousness that it creates, and with the mid-century modern architectural details, which are normal and familiar to me." 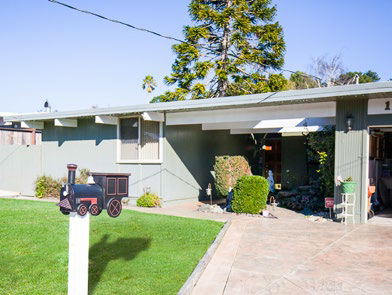 Our four sets of senior Eichler owners have at least two major life preferences in common: their Eichler homes continue to suit them well, and they're staying put. When Fred and Jean Leonard were asked about the possibility one day of leaving their Eichler for a retirement community, Jean made it perfectly clear: "We don't like that idea. There wouldn't be any kids, and nothing but old people. Little old people are not too wonderful to live with."